Versatile wicker chair for use on your patio as part of a wicker set or as a dining chair. Bar Harbor style with full close weave design with diamond decoration woven into back panel. Strong all weather powder coated steel frames. Optional tufted or foam seat cushion available with your choice of fabric. 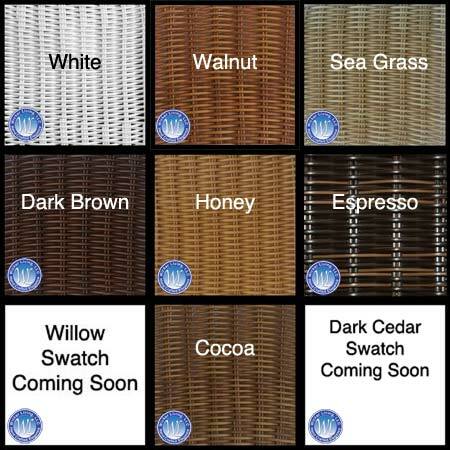 Use with other Bar Harbor furniture or mix and match with outdoor wicker.